I’ve loved the tweets! Especially your back and forth banter with John Torode! Shame we won’t be seeing more commentary tonight. Thanks for keeping me amused! 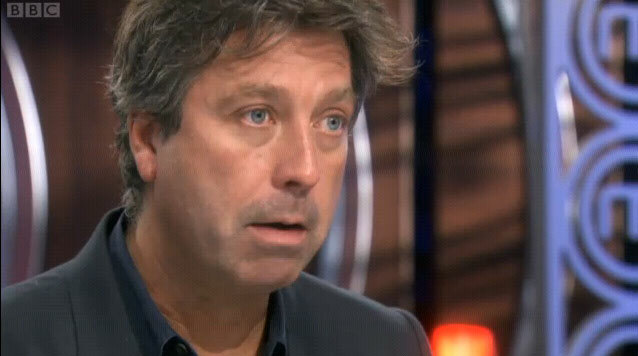 Sometimes I enjoy reading the Storify after the programme – as you said “My approach to Masterchef is to focus less on what is happening onscreen”, so whilst reading the tweets along with the show is great, I find perusing the entire story the morning after is a piece of entertainment in itself and makes tears fall from my face. This is a perfect summation of all that is brilliant about Masterchef and your tweets about it. I shall miss watching the show with half an eye on your tweets this evening! Thanks for the many, many laughs and the often spectacularly surreal images. It’s been such a treat. See look what you did there? You had your OWN journey. I think what I’ve enjoyed most about (belatedly) finding you on Twitter is the surreality. 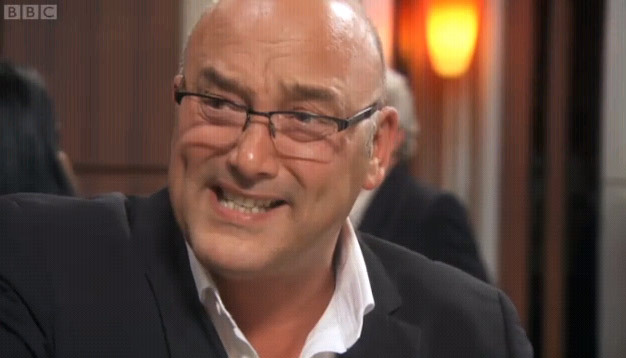 Following the show with your commentary on hand makes the sometimes irritatingly shouty/banality/repetitive nature of MasterChef into something brilliant. You’ve saved the show for me. I watch it BECAUSE I can then read your tweets. Just read. What a pleasure. Great fun Greg. Great fun. You have transformed Masterchef into the “Culinary X-Factor” and have destroyed what was originally honest, fascinating and informative. I have watched every series from the inception but now you have lost me as a viewer. I was simultaneously revolted and bored by the last series. A major problem is the obsession with the ‘Michelin’ look for the plate. This cliché (poor Michelin whose name is taken in vain) stresses a particular visual style over taste and curiously is stuck on an artistic layou tderived from abstract expressionism (sometimes daubed with the wand of HarryPotter) and in many cases is just as visually confused as the food is ‘fused’.. Yet, the viewer is led to believe that this is quintessence of haute cuisine. We are told (but are unable to verify) that it is both delicious, even when every flavor and texture known to the palate is found on almost every plate. Who has set up this latter day ‘Académie de la Cuisine’, which thanks to the magic of television can now perpetuate itself through programs like yours judged by the fellow academicians of the movement. No doubt there are some great chefs on your panels, but might there not be certain lack of objectivity on the part of your judges? Worse, the whole thing is unhygenic albiet with a perfectly polished rim. How can you possibly herald a plate that has been so fingered, breathed over and sweated upon, that the only digestive possible is an antibiotic? Who in their right mind would want to eat such dirty food? And for my final serving I ask you to consider the waste. The hidden waste which one sees in your plates could feed a few starving souls, or is this handled by catered charity events for the world’s starving? Perhaps you could redeem yourself by basing a series around Escoffier’s words: Keep it simple! Hello Dorothy, thanks for your comments. You seem to have mistaken me for someone who actually produces the show Masterchef. I do not produce the show Masterchef. I am merely a viewer. However, I will endeavour to pass on your comments to the producers. You’ve made my day, Dorothy. Agree wholeheartedly. This is TV at it’s most repulsive. Bring back real cooks who care about food, not ambitious chefs who are trying to further their careers. As for the presenters and judges! Dear god! Spare us! The Man Who Fell has turned tweeting into an artform. That’s all I have to say on the matter. What a load of pseuds! Here are a load of ‘wannabes’, not really interested in food, just in their careers. TV can turn the most amazing stuff into crap. This is crap through and through. It does not want to inform us about good cooking, just create ‘provocative’ TV. Bring back Lloyd Grossman, he was totally interested in good food, not TV nonsense. 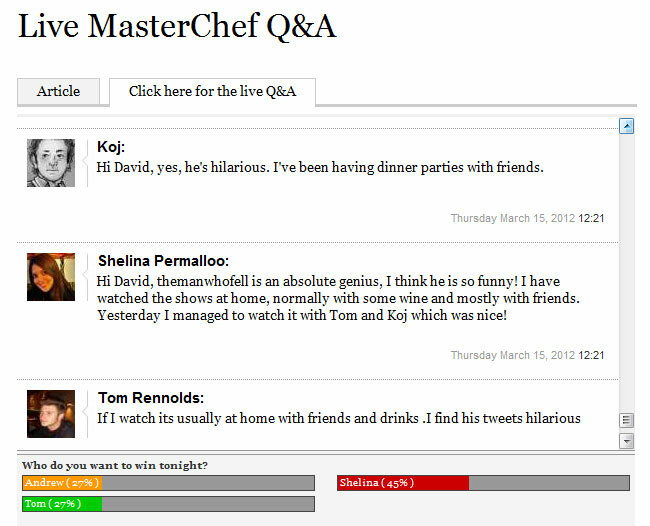 You don’t seem to have read my blog and appear to be using it as a forum to attack Masterchef. I suspect this is because the BBC, in their wisdom, have put a link to this blogpost on the official Masterchef website. This leads to people like you mistakenly believing that this is a BBC blog. It isn’t. not what i want from a cooking programme.